Boats are one of the coolest additions made to the game of Minecraft. A boat gives you the ability to use it as transportation to navigate through other areas of the overworld. 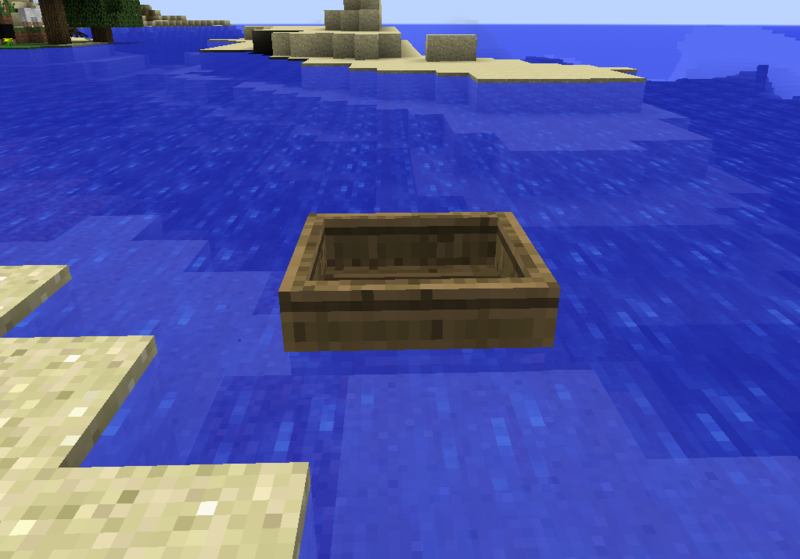 Here is a tutorial on how to make a boat in Minecraft. To read more about boats, please go to its page here. Using a crafting recipe is both the easiest and best way of obtaining a boat in Minecraft. The player will first need to start off by making a Crafting Table. Each player starts off with a 2×2 crafting grid located in their inventory however this recipe is much more complicated and requires a 3×3 grid. 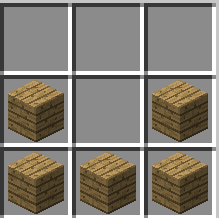 This is done by opening your inventory box (Pressing ‘E’) and placing 4 Wooden Planks into the 2×2 grid located in the top right corner. You are able to use any type of Wooden Planks like oak, spruce, birch, jungle, acacia, or dark oak. In the example below we are using oak wooden planks. After you have completed the recipe you will need to equip the table to your hand. This is done by dragging the item to the bottom left row of your inventory box. The last step is to place the item on the ground. To do this you will need to find an open area you will like the table placed at then right click to put it on the ground. Doing this will allow you to then click on the crafting table and utilize a 3×3 grid for crafting recipes rather than the default 2×2 from your inventory. Now that you have a crafting table, lets make a boat. 5 Wooden Planks – You are able to use any type of Wooden Planks. Here is a list of all the various types: oak, spruce, birch, jungle, acacia, or dark oak. The particular plank used will generate a boat yielding the same color. You will first need to put 3 wooden planks lined across the bottom row of the grid. The remaining 2 wooden planks will go on the left and right side of the middle row. Once you have placed everything the boat item will appear in the empty box to the right. Right click on it to transfer the item into your inventory. Now that you have learned how to make a Boat in Minecraft, a Boat is used as a vehicle for transportation across water. You can right click on a boat when it is in water and control the direction with the movement buttons. When you want to get off the boat you are able to exit by either right clicking or by hitting the jump button. Attacking the boat will make it drop into an item for you to carry again.